It's always been your dream: You smile coyly at the ticket agent, and she gives you a little bump. But what if it did? That's the premise behind K.C. Bell1s new novel, Changing Plains. Abigail Rogers gets a first-class upgrade on a flight to the UK and upon landing, discovers her whole life got upgraded. She somehow swapped places with super-wealthy Lady Candice Cantwell. Welcome to a world of limousines, castles, and servants. But nothing in life is free. Abigail also takes on Lady Candice1s looks (chub chub) and attitude (naas-ty), as well as the rest of her pill-popping, wig-wearing persona: a barrage of seedy lovers (ew), two estranged sons, and a cheating husband. Yeesh Political satirist Bell spins an unorthodox tale that bubbles with cheeky intelligence, taking it well beyond the typical romance novel. Curl up with Changing Plains the next time you need an upgrade. The New York Times. Who doesn't want an airline upgrade? And is there anyone who would refuse one when offered? Wedged between two overweight passengers on a ten-hour flight to London not too long ago, prolific author and traveler K.C. Bell asked herself this very same question. "The prayer of an upgrade crossed my mind," she recalls, and her unrequited longing for that beckoning first-class seat resulted in a lively gem of a book called Changing Plains, in which the heroine, unhappily married and weighted down with considerable emotional baggage, returns from an in-flight trip to the restroom to discover that she is no longer Abigail Morgan of San Francisco but that she has somehow switched personas with a first-class passenger, Candice Cantwell, wife of the 11th Duke of Glen Harris. Not one to let such an astonishing opportunity slip past, Abigail allows the flight attendant to lead her to Lady Cantwell's roomy first-class seat and, upon landing, makes off with her sable coat, Hermes Birkin handbag and the chauffeured limousine awaiting her at Heathrow Airport. Grandly and delightedly setting up residence at Glen Harris castle, Abigail quickly discovers that her transformation has its drawbacks; she now inhabits the body of an overweight, pill-popping, wig-wearing harridan who has long terrorized her staff, estranged her two sons, and driven the present duke, her husband of sixty-odd years, into the arms of a young violinist in Paris. The unexpected return of the duke, outraged by reports that his wife has been driving his rare and frightfully expensive gull- wing Mercedes Benz through the village and riding his spirited thoroughbred against his strict orders, complicates matters, especially when Abigail finds herself attracted to the man his real wife always referred to as the "Loathsome Cesspool." While at heart a beguiling romp, Changing Plains clearly reveals the cheeky intelligence and delicious sense of the absurd revealed by K.C. Bell's discerningly human eye, suffused with a surprising tempering of compassion. Spanning the bosky fields of rural England, the foggy hills of San Francisco and the wide plains of Masai-ruled Kenya, this intelligent and unusual love story goes far beyond the ordinary rudiments of romance. Reviewed by Ellen Tanner Marsh. Changing Plains Changing Plains author K.C. Bell has taken Daphne Du Maurier's Rebecca and William Shakespeare's A Comedy Of Errors, braided both together, leading the reader on a contemporary journey of suspense, laced with humor, using planes, trains, mobile phones, Range Rovers, satellite tracking, bicycles and horses. Starting with an unexpected upgrade on a United Airline's flight traveling from California to London, the story moves from Europe to Africa and Asia. San Francisco painter Abigail Rogers can't believe her good fortune of an upgrade; exchanging seats and physical appearance with materialistic Lady Candice Cantwell, who battles her downgraded exile. The only person able to sort out the situation is Kirkpatrick Cantwell, known as the African, the eleventh Duke of Glen Harris Castle, born in Nairobi, educated at Eton and Oxford, Head of Cantwell Coffee and Cantwell Pharmaceuticals, he views his estranged wife's predicament as, "Sweet." Kirkus Freaky Friday, A Midsummer Night’s Dream and Cinderella collide in this romance novel. 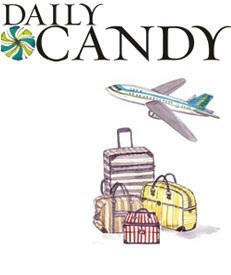 Unhappily married and saddled with a lifetime’s worth of emotional baggage, Abigail Rogers gains an unexpected reprieve when she finishes an inflight trip to the restroom and discovers that she has somehow swapped bodies with another woman on the plane—the extremely wealthy Lady Candice Cantwell, wife of the current Duke of Glen Harris. After a brief attempt to sidle back into her seat next to her unbearable husband Nick, Abigail allows the flight attendant to guide her to Lady Cantwell’s first-class seat and, upon landing at Heathrow, makes off with her Birkin handbag, fur coat and chauffeured limousine. Meanwhile the true Lady Cantwell, trapped in Abigail’s body, is denied entrance into her native United Kingdom, tranquilized and sent back to San Francisco as a result of her brash comments to immigration officials and wild behavior. Abigail quickly acclimates to her newly upgraded life—peppered with drivers, servants and a seemingly endless bank account—but soon realizes that these luxuries come with a price. She now inhabits the body of a prescription pill-popping, wig-wearing, overweight menace who is reviled by her husband, feared by the castle’s staff and indulging in sexcapades with the stable manager, her attorney, the village’s chief inspector and the randy town vicar. When the Duke unexpectedly returns to Glen Harris, outraged that his estranged wife has been driving his rare Mercedes and riding his horse, Liberty, against his strict orders, Abigail’s already tricky situation grows more complicated—not surprisingly, she falls in love with him. Despite the far-fetched, never-quiteexplained premise and dubious plot, the book is a breezy, entertaining read. The narrative twists and turns make Changing Plains a nique beach read. A witty alternative to the typical romance novel.